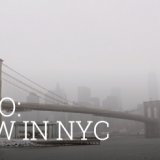 To all the NYC dreamers that can’t stop thinking about going to New York…wait no more! 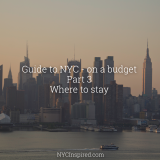 This series is about planning your next trip to The Big Apple on a budget. I took this photo on the observation deck on the top of Rockefeller Center in June 2007. Brooklyn Bridge -You can view the bridge from many water front locations in lower Manhattan. But I recommend walking on the bridge. You can walk right from Manhattan across to Brooklyn. In addition to experiencing the beauty this bridge offers, you get great views of the Manhattan skyline from across the bridge. I would suggest doing this when the weather is nice out. 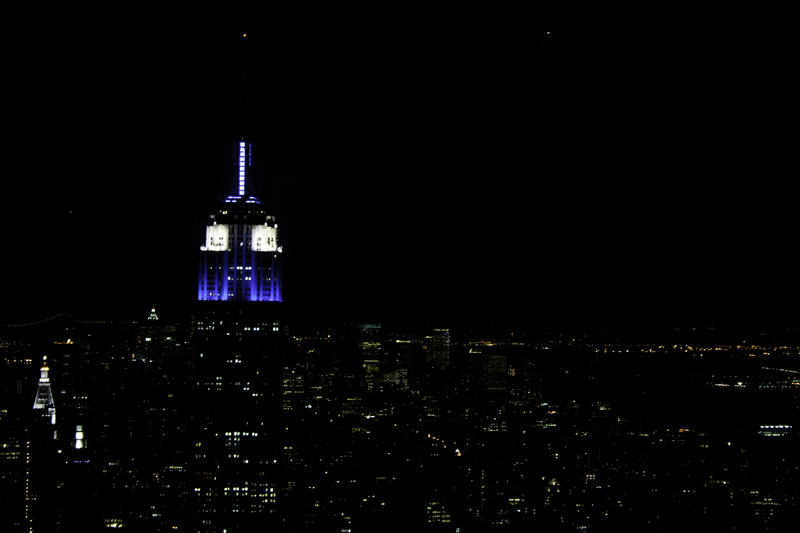 Empire State Building – (going to the top observation deck is $32, but of course you can see the outside for free). You can view this beauty from many locations throughout the city. You will be walking and all the sudden you see her peaking through the some buildings. Seeing her up close though is especially magical. Make sure to look for her at night when she’s all lit up. She’s’ breathtaking! Times Square – world famous, how could you go to NYC and not experience Times Square! You aren’t quite sure where to look because there is so much to take in! Go take a seat on the red steps and just take it all in! The energy is crazy, there is so much going on! It’s amazing to stand there, you feel like your in the center of the world! 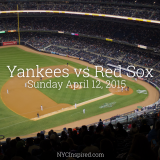 Central Park – this is my favorite NYC location! Central Park is simply magical. I can never get enough. Every season she offers so much beauty. The flowers in spring, the autumn leaves, snowy and dreamy and the summer is just bliss. Take a walk or sit on a park bench. Its simply magical! Rockefeller Plaza – (this one becomes a must at Christmas time!) 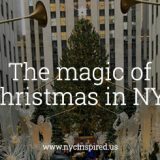 – See Rockefeller Center, The Today Show Plaza, the skating rink (in winter of course) and if you are there in December – the world famous Christmas Tree! You can pay to go to The Top of the Rock for $30 and it’s very beautiful! You can see all of NYC and it’s stunning. I would suggest going up at dusk so you get the experience of seeing everything at daylight but also as the City starts to light up at night, it’s amazing! Macy’s –World Famous in Herald Square – the spot where the famous Macy’s Thanksgiving Parade happens every November. Its the Worlds Largest Store! A great spot to check out, maybe get a gift for someone. The Empire State Building is just down the street. The Plaza Hotel – famous in so many movies and tv shows, it is a really beautiful building. The best view is from Central Park. Another spot you can say you’ve been, it’s pretty cool to see! Chrysler Building – yet another iconic Manhattan skyline beauty. The Chrysler building can always be seen throughout NYC, just keep an eye out! It’s so beautiful you will want to make sure you see it both during the day and lit up at night. The Flat Iron Building – a great photo spot, this is another world famous building. While you are here you can head across the street to Madison Square Park and enjoy the beauty of the park and still see the Flat Iron building behind you. 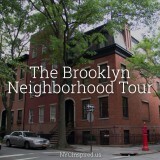 Little Italy & Chinatown – these neighborhoods are right next to each other, so you can see both! Although Little Italy is now smaller than it once was, it’s charm, beauty and history still remains. Street artists have been commissioned in the last year or so to add some unique art throughout Little Italy in hopes to bring more tourists to the iconic area. Chinatown surrounds Little Italy, and is much larger, so you will have no problem finding it. If it’s to eat, shop or just look around, Chinatown has a lot to offer. St. Patrick’s Cathedral– a historical landmark, the cathedral was completed in 1878 and is simply stunning. It recently underwent extensive restoration and the scaffolding outside has now been removed as of (March 2015). It’s really beautiful and also a definite must see! Statue of Liberty – Head over to Battery Park and you can see Lady Liberty off in the distance. For an even closer experience, take the Staten Island Ferry across from Lower Manhattan to Staten Island and you pass right by the statue of liberty in addition to getting a great view of the NYC skyline. The Staten Island Ferry is FREE! Go to a taping of a TV show! 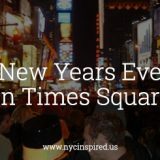 – NYC has a tons of shows that are taped daily in NYC and they are free. You either need to reserve tickets ahead of time online, or wait in the line the day of (I would check ahead of time just in case). 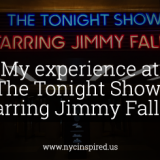 Shows like The Tonight Show with Jimmy Fallon, Late Night with Seth Meyers, Live with Kelly and Michael, Rachel Ray Show and The Doctor Oz Show are all worth checking out! Hoboken or Weehawken (NJ) waterfront – You can take the Path Train from Manhattan right over to Hoboken (one way fare is $2.75) and walk down the the waterfront. You can see the whole NYC skyline and it’s breathtaking!!!! The waterfront is of course free! While you are in Hoboken you can head over to the Famous Carlo’s Bakery to try one of their famous desserts (be prepared to wait in line tho!). Coney Island – (summer recommendation) Go walk on the boardwalk and take in all the scenery, the beach, the rides, the fun atmosphere. While there you can enjoy a hotdog from the world famous Nathan’s (only a few bucks). Washington Square Park Arch – head to Washington Square Park and take in the view of Manhattan from the Arch. It’s so beautiful and will also give you some really beautiful pictures. Grand Central Station – world famous, this is another must! The history of this building is amazing! The architecture is so beautiful, its hard to take it all in. I suggest finding a spot against a wall where you aren’t in anyone’s way as you stand and stare at everything! The High Line is a public park built on a historic freight rail line elevated above the streets on Manhattan’s West Side. It runs from Gansevoort Street in the Meatpacking District to West 34th Street, between 10th and 12th Avenues. You can enjoy a beautiful walking area, lots of great photo ops, its a really peaceful and beautiful spot! A tribute of remembrance and honor to the nearly 3,000 people killed in the terror attacks of September 11, 2001. The twin reflecting pools sit where the Twin Towers once stood. The reflecting pools are open to the public for free, you can also visit the museum, click here for more info. Take it all in – Walking around aimlessly in the West Village, Soho, Chelsea and SO many other great neighborhoods is not only free, but beautiful and inspiring. Looking at the beautiful brownstones, tree lined streets, cute shops and restaurants, you could spend weeks doing this too! Check out spots featured in your favorite TV shows or Movies! This photo below is the the apartment from the show “FRIENDS”. NYC has so many great spots to checkout! 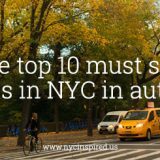 Now that I’ve highlighted the best FREE things to do in NYC, next week’s post will be about The best NYC spots to splurge, helping you decide the things and places definitely worth spending that extra dollar! 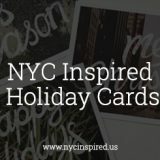 What are some of your favorite NYC locations? Let me know in the comments below! 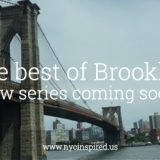 Guide to NYC – on a budget – New Series Coming! Can’t believe a crossing of Brooklyn Bridge did not made this Top 20. I always arrange to walk over to Brooklyn over the Manhattan Bridge (Great views of Brooklyn Bridge) and walking over and returning over the Brooklyn Bridge (Great views of Manhattan). Hey Carlos, the Brooklyn Bridge is the first item on my list, maybe you just missed it, scroll up to look again 🙂 I agree with you that the walk over the Brooklyn Bridge gives amazing views which is why I definitely had to have it in my list.